illness or blocking us from Love, success or even self acceptance. By connecting to the theta brainwave we also connect to all of creation that allows us to ask and receive answers about disease and dysfunction and gives us the tools to correct the issue. The ThetaHealing® practitioner witnesses the changes to be made in the body and on all levels. For some people the shifts can be miraculous, for others wellness and balance can occur over time. Our belief systems and particularly the sub-conscious beliefs that we hold and are likely unaware of, have a significant effect on our perception and our lives. continue to repeat the consequences of these beliefs in the form of unhealthy patterns and scenarios in our lives. It may also create dis-ease or dysfunction in our bodies. These beliefs can be held on many levels and affect our health. We hold beliefs on the core, genetic, historic and soul level. With ThetaHealing® the practitioner has the ability to access these belief systems and cancel the beliefs that do not serve in the highest and best way. The practitioner will then replace these beliefs and adjust any energetic issue so balance can resume in the body. Be prepared to release old emotional wounds and past traumas… and resume (the perhaps foreign) feeling of balance, peace and harmony. 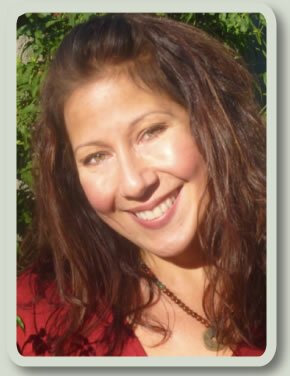 Ilene is a gifted spiritual holistic guide providing energy healing work with healing modalities like Theta-Healing® that offer emotional, spiritual and physical support. She incorporates Chakra Balancing and Healing Energy work into her clients’ experience for overall wellness and a broader, more informed view of each client’s condition. Ilene provides intuitive energy work and Theta Healing to clients in the San Fernando Valley communities of Calabasas, Encino, Tarzana, Woodland Hills, Studio City, and Los Angeles, California.